View of the Chocolate Hills from Chocolate Hills Adventure Park (CHAP) in Carmen, Bohol. 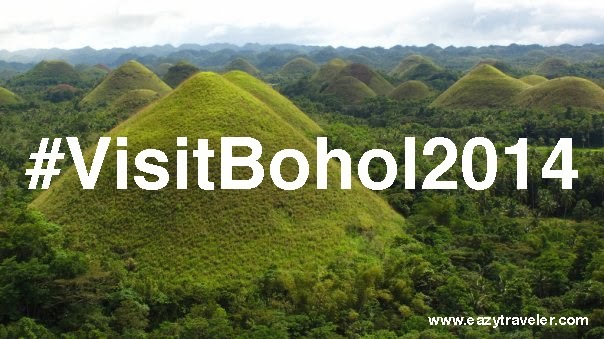 The 7.2 magnitude earthquake that hit Bohol and the central Visayas region only damaged a few of the 1,776 Chocolate Hills – the unique geological wonder that has put Bohol on the tourist map. While the Chocolate Hills Viewing Deck has been destroyed, the new viewing deck at Chocolate Hills Adventure Park (CHAP) provides an alternative vantage point of the endless verdant hills of limestone while the former view deck will be rebuilt. The park entrance has souvenir stalls and a small restaurant fronting a natural pond. A small bridge leads to a boardwalk that meanders over a brook. This pathway takes you by a Philippine long-tailed macaque fastened to a tree, and a “serpentarium” that exhibits not only snakes but hedgehogs and sugar gliders as well. A 248-step stone pathway leads to the wooden view deck along a hill slope. Compared to the Old Viewing Deck, the CHAP view deck offers a pretty view of the Chocolate Hills albeit of less grandeur. From this vantage point, one could see the hill with the damaged view deck. Here, the Chocolate Hills are much farther away compared to the postcard panorama we’ve been accustomed to seeing from the old lookout. Some trees also obscure the view of the better-formed hills to the left of the viewing deck. Nonetheless, CHAP is a decent and safe alternative to the damaged lookout, which will hopefully be rebuilt by the provincial government sooner than later. Besides the viewing deck, CHAP will soon offer thrilling outdoor attractions that will set it apart from the popular viewing deck, such as a zipline, Burma rope, canopy walk, hiking trail, camp site and bike ride, as well as native-style bungalows for travelers wishing to spend a restful night or two with a view of the Chocolate Hills. HOW TO GET THERE: Chocolate Hills Adventure Park (CHAP) is located at Brgy. Buenos Aires, Carmen, Bohol. off the National Highway between Tagbilaran City and Carmen town, before the junction to the Chocolate Hills Old Viewing Deck. Mobile: +63 9173041341 and +63 9326677098. Email: chocolatehills_adventurepark@yahoo.com Entrance fee: PHP 60 per person.